The Hub Sessions is a unique event for individuals with an interest in modern composition and performance, offering opportunities to meet composers, players and promoters working at the forefront of their fields. Don’t miss your chance to see a previously unperformed piece selected from the Call for Scores initiative workshopped by LCO’s principal players and composer-in-association Edmund Finnis. Enjoy new and existing instrumental music and take part in discussions with musicians and composers in the informal Hub settting. 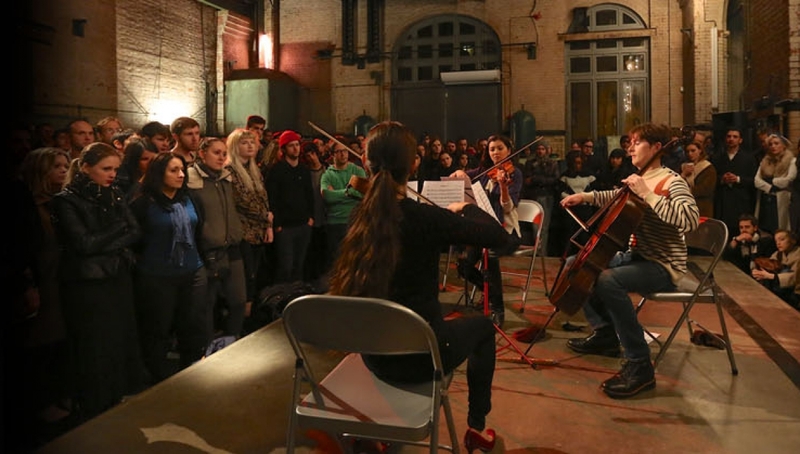 London Contemporary Orchestra, in partnership with the Roundhouse, is pleased to announce its Call for Scores initiative as part of The Hub Sessions. Composers of any age and nationality are invited to submit previously unperformed works scored for the forces listed below. Three pieces in total (one per date, with the third and final date to be announced) will be selected for public workshops at the Roundhouse, with the LCO’s principal players, led by Composer-in-Association Edmund Finnis.